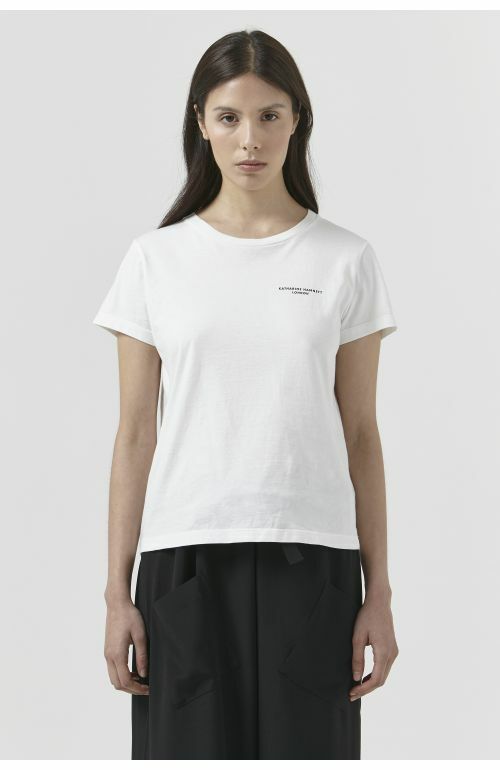 Slim fit Katharine Hamnett London 90s logo print rib neck short sleeve navy t-shirt. 100% cotton single jersey. Made in Italy. The model is 5'10.5"/ 179 CM and is wearing size M.